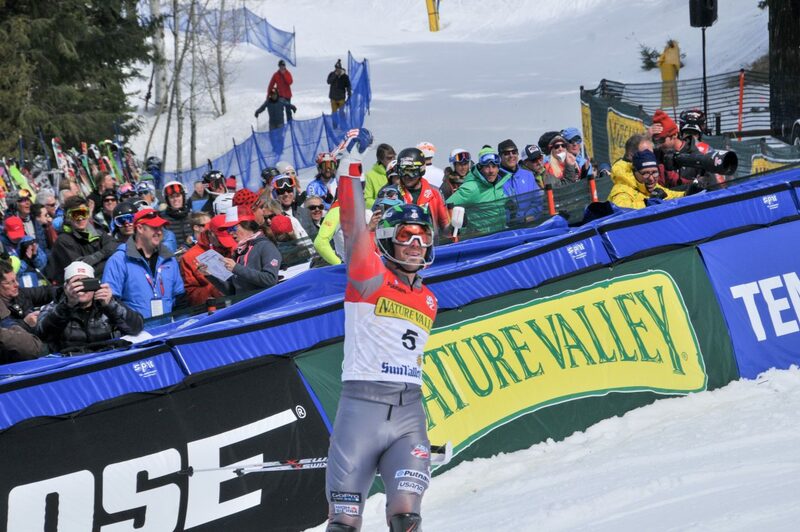 Ryan Cochran-Siegle celebrates at the finish line of the U.S. Championships at Sun Valley last March. Gold comes in many forms. Last weekend on the icy pitch of the fabled O.K. course in Val d’Isere, France, a 15th place World Cup super G result gleamed brighter than an Olympic medal for Ryan Cochran-Siegle. 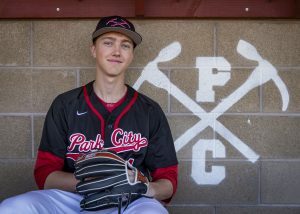 Cochran-Siegle is a Vermont native who has made Park City his home the last few years, living with his cousin and former U.S. 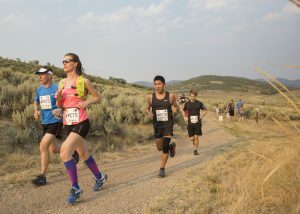 Ski Team racer Jessica Kelley and her husband, well known Park City athlete and coach Adam Cole. It had been nearly four years since his last major international speed event in February, 2013. On the third gate of the combined downhill at the 2013 World Championships in Schladming, Austria, he crashed, shredding his left knee. Multiple surgeries and hundreds of days in the gym later, he scored a career-best finish on a weekend that could define his pathway leading up to PyeongChang in just 14 months. The son of 1972 Olympic slalom champion Barbara Ann Cochran, Cochran-Siegle had a textbook career going. He won his first U.S. Championship medal at age 19 in 2011. That next December he scored his first World Cup points in the Birds of Prey super G with a proud mom in the finish. Two months later he captured double gold at 2012 World Junior Championships in Italy. He was on his way. Until that fateful day in February, 2013. Few athletes could have survived what he had endured for nearly four years. At his side was a team of doctors, trainers, coaches and family. His gold medal attitude of patience and perseverance would serve him well. He planted his poles at the top of the historic O.K. course that bears the initials of Val d’Isere’s most famous sons, Henri Oreiller and Jean-Claude Killy and did what he has always loved to do: he skied. It was a long road to Val d’Isere. Much of his knee was destroyed from the accident. Initial rehab went well and he was back on snow. But it didn’t last. Another surgery. No go. One option remained – transplant surgery. While not that unusual, it was a procedure that wasn’t ideal for the levels of stress an athlete puts on the knee. But if there were ever a candidate, Ryan Cochran-Siegle was the one. He could have given up at any point in time. But he didn’t. Bunkering down at the Center of Excellence and hitting the books at Westminster College, he waited for the call. Finally, it came – a donor had been found. In August, 2014 he underwent a third surgery at the Steadman-Hawkins Clinic in Vail. Then came the work. At first, eight weeks non-weight bearing but still working every day on his good leg. Then mundane, simple exercises to patiently bring him back to strength. Six months later on February 2, 2015 – when his teammates were parading into the World Championships at Vail/Beaver Creek – Cochran-Siegle was doing his first barbell squats. A milestone day, strength coach Tracy Fober at his side. 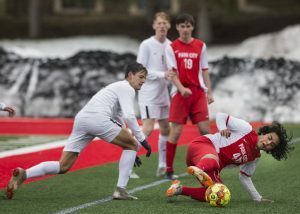 He was on snow that summer, carefully undertaking a prolonged return to snow process together with his teammates Tommy Biesemeyer and Resi Stiegler under the watchful eye of coach Bernd Brunner. Patience was his virtue. The 2016 season was a good one mixed with some NorAm podiums, a couple FIS race wins, a pair of medals at U.S. Championships in Sun Valley and a point-scoring finish in a World Cup at Kranjska Gora. But he wanted to get back to speed. There’s a certain protocol in a World Cup finish area as the race day wears on. While the winners are already doing their TV interviews, eyes remained glued to the scoreboard watching to see who might make an attack from the back. RCS didn’t win the race. But, boy, did he turn a lot of heads. Up on the race course, team trainer Antinori felt a deep swelling in his heart. 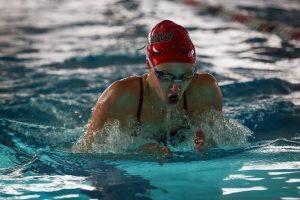 Back home at the Center of Excellence, his strength coach Fober, passionately watched the TV broadcast on her computer – ignoring the meeting she was attending and shouting out loud as he crossed the finish line. As a coach or trainer, it tugs at your heart and brings tears to your eye to see a hard working athlete achieve success. The gold medal goes to Ryan Cochran-Siegle.